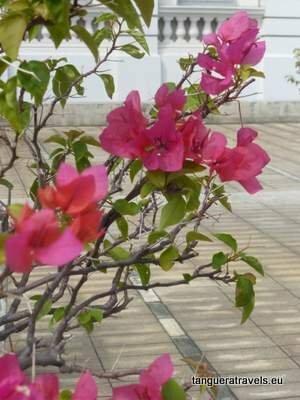 I’d been travelling for a month, during which I’d been to eight tango events, all of them by myself, but for some reason I was nervous about Singapore. This was to be my first time at a tango festival and I didn’t know anyone attending. I didn’t even know anyone in Singapore. It was my first time here. 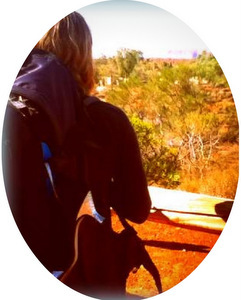 When planning my trip a few months ago, I was researching possible stopovers on my way back from Australia. Singapore seemed an obvious choice. Especially when I discovered that Asia’s largest tango festival took place there. And so, here I was. The welcome milonga was due to start three hours after I landed and I hadn’t slept a wink on the flight. It would have been easy to make an excuse for not going, but as readers who have followed my journey from the start will know, you’re never too tired to tango. Anyway, I had packed my psychedelically coloured dress especially in honour of the theme of the opening night. It would be just rude not to go. 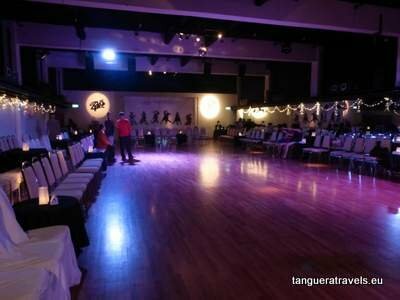 The welcome milonga was held at Le Danz in Queen’s Street, which was also the main venue for the SITF and where some of the classes took place. There was hardly anyone there when I arrived as the doors had just opened. There were tables and chairs set up on one side of the room, and several rows of chairs on opposite sides of the dance floor. The front rows on either side, I was told, were reserved for men and ladies without dancing partners. The reason we were to sit in the front row was to facilitate the cabeceo, i.e. 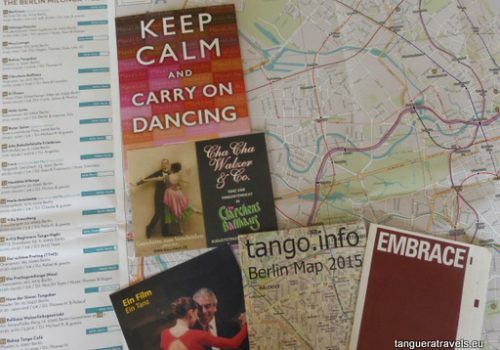 the silent, long-distance, almost telepathic method of communication for inviting and accepting to dance, which is an integral part of tango etiquette. 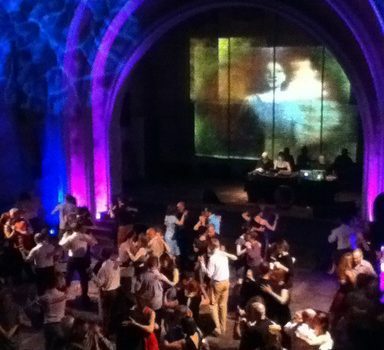 If you want to dance at a milonga, chances are, you’ll need to master the cabeceo. As with most things tango, I’m still learning this art form… Here is an example of a successful cabeceo, in case you don’t know what I’m talking about. Meanwhile, back in Singapore, the dance floor is filling up and I’m still on my chair. For a while, I watch in fascination, later in mild despair, as cabeceos are launched, received and accepted seemingly from all corners of the room, sometimes even from across the crowded dance floor, mid-tanda. Like I said, it’s partially telepathic. And so I sat and watched the dancing wondering if I was going to keep my observer status for the entire festival. It was comfortable in a way, because the more time passed, the more daunting the idea of getting on to the dance floor felt. I danced two tandas during the whole evening, one as a result of a cabeceo, in the other a guy simply walked up to me and asked me to dance, which was fine for me. But I didn’t feel confident about my dancing at all. I was discovering that perhaps one is sometimes indeed too tired, jetlagged or lacking in self confidence to tango. But tomorrow would be another day. And there’s nothing that will build your confidence like learning from the maestros. So off I went the next day to my classes with the wonderful Daniel Nacucchio and Cristina Sosa. It was the second time our paths had crossed during this trip, the first being when I happened to walk in on one of their workshops in Sydney. And I wasn’t going to make the same mistake again, this time I was going to be there on time. Meanwhile, the second class had started and now we were focusing on ochos and giros and again the emphasis was dancing these together with the partner with cadencia. Interestingly, in both classes, there were more men than women. Daniel and Cristina made sure that we changed partners constantly and so I would say no one was without a partner for more than a few seconds and everyone danced with each other. After such an inspirational couple of classes and meeting so many new people, I think we can say the ice was broken and I went to the milonga that night with a completely different mindset than the previous evening. A few of the guys I had met earlier at the class invited me to dance, but I was also invited by guys I hadn’t met before. I was more relaxed, which probably helped with the dancing, I didn’t feel like an outsider and I enjoyed myself much more. Such a joyful and playful choreography. I would love to be able to dance like this! The next day I had two more classes, this time with Javier Rodriguez and Fatima Vitale. 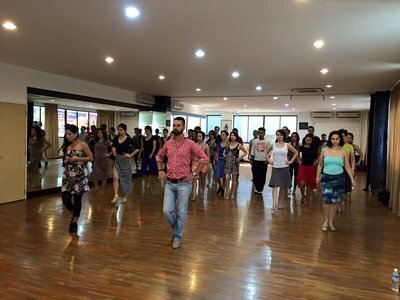 We started with walking exercises, the cornerstone of tango technique. We went into a lot of detail here and the emphasis was on how to walk naturally and elegantly, particularly when walking backwards (which in itself is anything BUT natural). We then went on to practice giros, lápices and enrosques, which was a lot of fun! This was followed by a technique class for leaders and followers. And then I had only a few hours before I had to get my flight home. So unfortunately no time for the Grand Milonga later that night. I would have loved to stay for the whole festival. On the other hand, I’m glad I was able to experience even two days of this festival. What a way to end four and a half weeks of tango-travelling! Thank you to Lily, Gen and everyone else involved in the organisation of SITF 2015! Last class before I had to catch my flight home. Can you spot TT hiding there? Photo credits: the second and third photos from the top are my own; the others, as well as the video are shared with kind permission of the festival organisers. 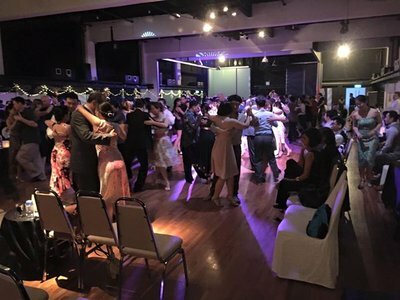 This was the third edition of the Singapore International Tango Festival which takes place in October. It is organised by 2012 Mundial de Tango finalists (Salon Category) Lily and Gen, aka Los Sueños. This year’s festival ran from 7 – 11 October. Walk in price for the group classes was 50 SGD, and 45 SGD for the milongas, but prices were cheaper if booked in advance. Package as well as early bird prices were available if you plan ahead (this year the deadline was 1 July). The festival website can be consulted here if you want to get an idea of the programme (dates/website for 2016 not yet confirmed). I was only able to cover a very small part of what was on offer here. PS According to their website, there is ballroom dancing every day at 1pm and 6pm at Le Danz, unless there is a private event. That sounds like a fun thing to try on my next trip to Singapore! 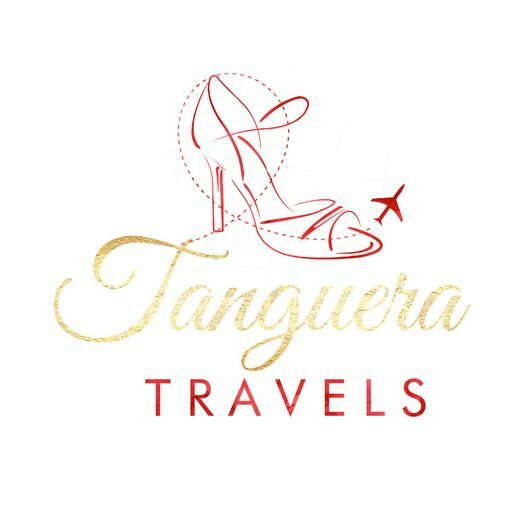 What was your first time at a tango festival like? Were you at SITF this year? I’d love to hear from you in the comments below!